Hunterhex Combo series combining and offering operation of DC HEX emergency cooling, DC HEX free cooling and inbuilt AC or DC compressor in the same Combined Climate Unit. 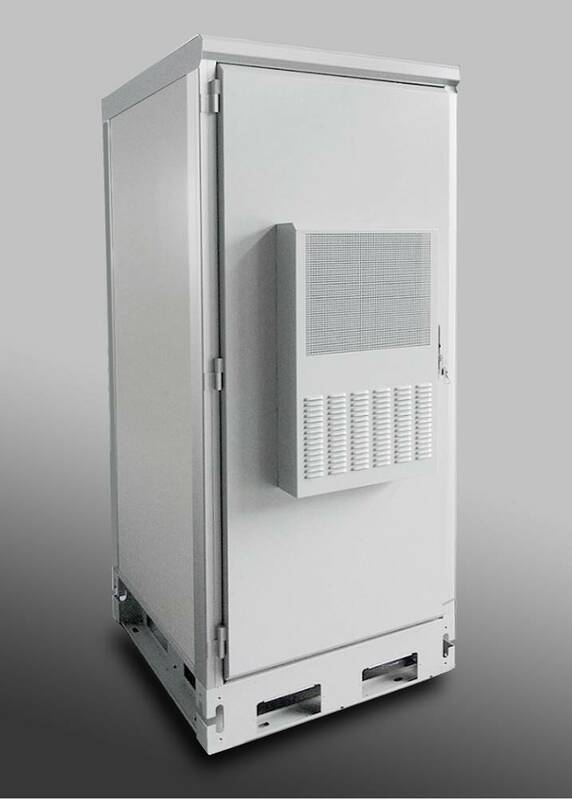 This combined climate units can be widely used in enclosed area for climate control, such as; mini data centers, telecommunication, wireless communication outdoor cabinets, battery cabinets, power cabinets, industry control pre-installed in our outdoor cabinets for ICT & mobile telecom data center applications. Redundancy through pair installation, plug and play installation of panel type version for mounting in outdoor cabinet or shelter door or walls. Easy plug and play installation “Cut out two holes for air inlet and outlet and connect power” and the climate unit is ready for operation. T1 (35oC) & T3 (55oC) ambient temperature climate versions. DC Emergency cooling inbuilt and included in the Combo units. Combined climate units with DC fan operated Heat Exchanger (HEX) with inbuilt AC or DC compressor really take the edge away from any competition. The HEX separates polluted or salt containing ambient air from indoor enclosed air area where electronic sensitive equipment is placed inside cabinet or shelters. Operation in DC HEX mode when ambient temperature is cold during night and winter period, active compressor operation steps in during warm days or during summer. The concept of combined climate units save a lot of energy due to DC HEX operation only have DC fan power consumption and compressor will only step in and contribute with cooling when it is absolutely necessary. Combo units have inbuilt automatic DC emergency cooling operation during power failures or power blackouts. 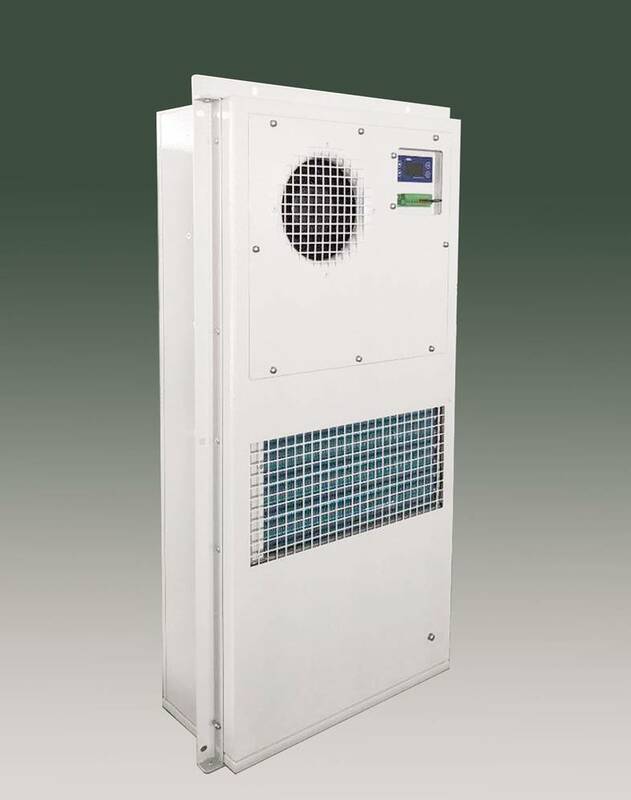 Example: A Combo unit with 3000W active cooling capacity with compressor is equipped with a DC HEX producing 120W/oK in passive dc fan cooling capacity through the heat exchanger. DC HEX 120W/oK with for an example 15oC temperature differential between in and outdoor air temperature gives a passive cooling capacity of 1800W/h and the HEX DC fans on this size will only have a power consumption of 180W/h vs normal active AC air conditioner mode that will have a power consumption of 1130W/h to produce 3000W cooling capacity. The mixture of DC HEX and active compressor operation really makes a great amount of energy saving as well as a fully functionally DC emergency cooling operation during power failures or power blackouts.